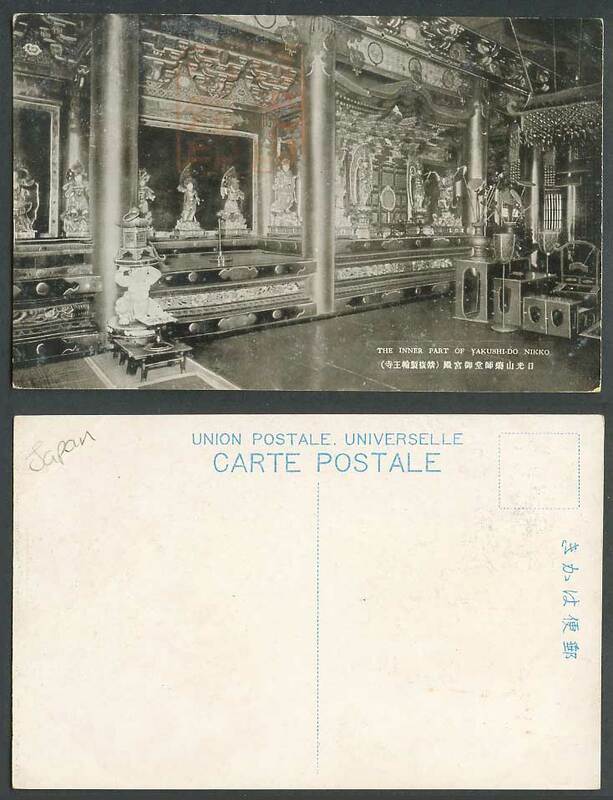 Vintage Japanese Old Postcard, Japan, The Interior Inner part of Yakushi-do Temple Shrine, Nikko. Statues. 日光山藥師堂御宮殿 輪王寺.